Kick off the discussion in Joseph Diedrich’s upcoming guide, Sell Liberty Like Don Draper! Questions, comments, observations or elaborations? Either reply here or create a new discussion using the tag Guide_sell-liberty-like-don-draper. 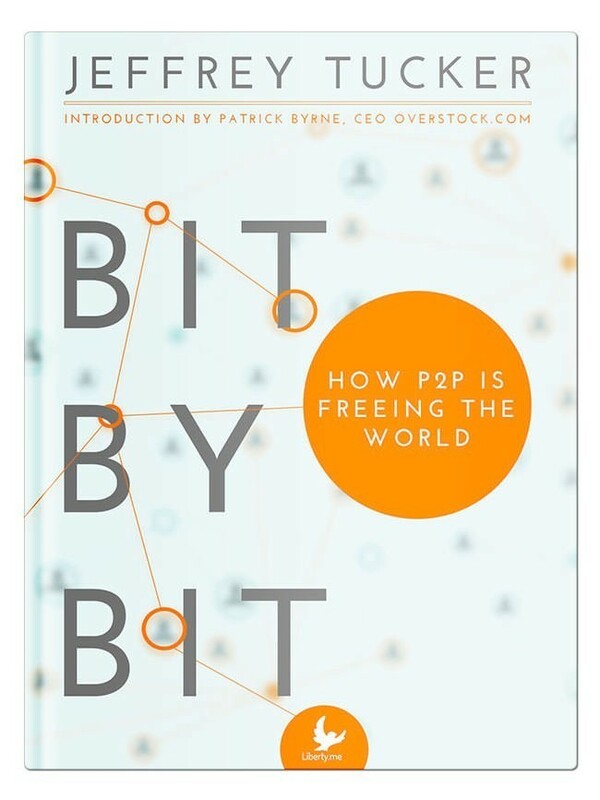 How are so many that are advocate so powerfully for internet freedom, and P2P systems. But when it comes down to other aspects are very state (progressive) driven ideologically. Mostly along the taxation, welfare systems, state dominion over property rights beyond digital and austerity measures. I am not devoid from abandonment of the state entirely either (trying hard too) but it seems that some articles of information outside of liberty.me circles are very bipolar on the points. I personally have concerns how certain powers given to government would be better all around as private. I don’t have that much faith in human condition yet. Back on point. They want decentralized p2p systems yet also want a very punitive and welfare modeled state body also. Aren’t these two ideas directly opposed at a root level? They want no government in the matrix but want a very large progressive government in physical expression. As I have tried to learn more and more of the power of P2P, bitcoin, 3D printing, tor etc it makes me see that we are actually encumbered by the simplest expressions of the state in real life. Has state based indoctrination been so well done it is stronger than the anarchist ideas around technologies. If one individual doesn’t have a manifesto, constitution or some form of documentation showing his/her views on what “Liberty” means to that individual, how does another individual, group of individuals, or community know how to treat this individual without “violating” his/her “Liberties” Are any of you willing to “assume” that everyone has not only the same definition for Libertarian, but also the same meaning for that definition? http://fee.org/freeman/detail/7-habits-of-highly-effective-libertarians http://christophercantwell.com/2015/05/03/5-habits-of-highly-effective-radicals/ Discuss, compare, contrast. In this special episode of Liberty Classics, Jeffrey takes a deeper look into the hidden themes and lessons of The Road to Serfdom, and how it speaks to us today. Tatiana and Josh interview Gary MIliefsky of Cyber Defense Magazine & Erik Voorhees of ShapeShift. Gary is a Counterveillance expert and founding member of the U.S. Department of Homeland Security, Gary Miliefsky, is the Founder of SnoopWall and the sole inventor of the company’s technologies. He has successfully advised two White House administrations on cyber security, filed more than a dozen patents of his network security inventions, and licensed technology to major public companies, including IBM, BlackBox Corp. and Computer Associates International. Gary is a recent Editor of Cyber Defense Magazine. He also founded NetClarity, Inc., an internal intrusion defense company, based on a patented technology he invented. He also advised the National Infrastructure Advisory Council (NIAC) at the U.S. Department of Homeland Security, in their development of The National Strategy to Secure Cyberspace. Erik, CEO of leading digital asset exchange ShapeShift.io, is among the top-recognized serial Bitcoin advocates and entrepreneurs, understanding Bitcoin as one of the most important inventions ever created by humanity. Erik’s former project, the groundbreaking gaming phenomenon SatoshiDICE, was, at its peak, responsible for more than half of all Bitcoin transactions on Earth and popularized the concept of “provable fairness.” Having been a featured guest on Bloomberg, Fox Business, CNBC, BBC Radio, The Peter Schiff Show, and numerous Bitcoin and industry conferences, Erik humbly suggests that there is no such thing as a “free market” when the institution of money itself is centrally planned and controlled. Tatiana and Josh interview Pamela Morgan of Empowered Law Pamela Morgan is an attorney, educator, entrepreneur, and public speaker. She has spent almost her entire career working in and advising small businesses. She is a widely respected authority on multi-signature governance and legal innovation using digital currencies. She is a founder and CEO of Third Key Solutions, LLC, a key management firm that provides operational consulting, audit preparation, and recovery services to companies working with digital currencies. Third Key Solutions is the culmination of her work advising bitcoin startups in multi-signature governance processes and key management. Rachel Mills welcomes the one and only Jeffrey Tucker. They talk about the recent Libertarian Party debate, cake baking, and the insightful new movie Zootopia. Was Lincoln a hero or a tyrant? The Unbiased Americans welcome James Swanson, a Heritage Foundation Lincoln historian. Evaldas interviews Dan Norris, the founder of WPCurve and 7DayStartup. The main topic will be productized service business, but you’ll also hear about on content marketing for getting customers. Tatiana and Josh interview Stephanie Murphy. Stephanie Murphy, PhD, is a voiceover artist, talk show host, and former research biochemist, who has been using bitcoin since 2011. She is a host of the popular podcast Let’s Talk Bitcoin, and of the nationally syndicated radio show Free Talk Live. Stephanie is Chief Operations officer at Fr33 Aid, a bitcoin-based charity. Tucker and Clark: Being Earnest — Don't Trump the Eschaton! Jeffrey Tucker and Joey Clark discuss the continued march of Trump, the prospects of a Trump or Hillary Clinton Presidency, the faults of political correctness, the humble "uncertainty" of Hayek, and the many competing "Gnostic" movements in the modern world which seek to bring about a "perfect" or "great" society by enforcing their hubristic gnosis through the state. Jeffrey Tucker talks with Yael Ossowski and Eyð Áradóttir Hammer of European Students for Liberty about their upcoming conference in Prague. With talks by investigative journalists, economists, and surveillance experts squeezed in between trips to the gun range, a photography tour, live band performances in a private club, and famous Czech beer, the fifth annual European Students For Liberty Conference in Prague, Czech Republic promises to be the most epic conference on the Old Continent. Held on on March 11-13, 2016, it's the perfect place to meet pro-liberty students and young professionals from all over Europe. It's run by students for students and promises to give as much academic and intellectual rigor as Czech awesomeness. Come celebrate the growing liberty movement in Europe at the biggest meeting of young minds and hearts dedicated to the ideas of freedom! We'll be remembering the students who've fought against socialism in the Czech Republic and more, and promoting the generation making a positive change today. Register for the conference. Watch the ESFLC video. Jeffrey Tucker and Tatiana Moroz talk with Lyn Ulbricht, mother of Ross Ulbricht. Ross was convicted of 7 felony founts in February of 2015 under the accusation that he created and operated the anonymous online marketplace Silk Road. Check out the new game where you can explore art created by Ross himself from prison. His family and friends are now mounting an appeal, and they are raising money for the serious legal fees required. You can donate right here. For more on the trial and the case, check out Jeffrey's article, "The Deeply Tragic Sentencing off Ross Ulbricht." Tatiana and Josh interview Rik Willard of Agentic Group & Arthur Falls. Rik Willard is the Founder and Managing Director of Agentic Group. He has over 25 years experience in developing and deploying innovative media platforms as well as identifying, incubating and securing financing for early-stage digital companies. Arthur falls is a cryptocurrency journalist who has been covering the space since early 2014. His most recent show The Ether Review explores the Ethereum global computing platform and the compatible technologies emerging alongside it. This week, Tatiana and Josh interview Daniel Diaz of Dash. Daniel is responsible for the Dash cryptocurrency’s business development. Dash (https://www.dash.org/what-is-dash/) is currently the 6th largest cryptocurrency in the world by market cap (at approximately $26 million). It is known for being an innovative project that is experimenting with new features and an incentive program for full nodes. Daniel is a serial entrepreneur with 11 years experience in sales and business development. He owns a SAAS CPQ (configure, price, quote) company based in Los Angeles and Panama City that provides an online multi-tenant sales and proposal management tool. He also owns a commercial distribution business based in Mexico City and Panama City that sells electronics security equipment throughout Central America and the Caribbean. Daniel studied electrical engineering in Panama City, where he currently lives and works. The one and only Jeffrey Tucker interviews Vincent Birrittella about his powerful article calling for true individualism rather than tribal politics: "Identity Politics Must Die." https://libertella91.liberty.me/identity-politics-must-die/ As I watch the events unfold in Oregon, I cannot help but notice the draconian nature of political culture. It seems that people are extremely willingly to support government aggression so long as it’s compelled on their particular scapegoat. In the hour before Obama's final State of the Union address, Jeffrey gives his own, alternative version of what really matters in our world. Mike Reid, content impresario of Liberty.me, and BK Marcus, editor of the Freeman, interview Steve Horwitz about his thought-provoking article in the newest edition of the Freeman. "Why the Candidates Keep Giving Us Reasons to Use the 'F' Word." Download the Freeman's 2015 Winter issue, The Circus and the Cage in PDF. Or subscribe to get the Freeman in your own two hands four times a year. Tatiana Moroz and her handsome co-host, Joshua Scigala, talk with Lisa Cheng of Vanbex and Jonathan Chester of Bit Wage. Cheng is leading the marketing for the upcoming Bitcoin-based videogame, Spells of Genesis. Chester is the founder of BitWage, focused on bringing blockchain technology to the unbanked. This week, Tatiana and her co-host, Josh Scigala, welcome Liz Reitzig — the Farm Food Freedom Media Spokesperson and the founder of NourishingLiberty.com. Join Tatiana, Josh, and Liz to talk about life, liberty, and the pursuit of real food. Get more of Tatiana at TatianaMoroz.com. Check out what Josh is up to at Vaultoro.com. And don't forget to follow Liz's work at NourishingLiberty.com. Jeffrey Tucker conducts an interview with Anthem Blanchard, the founder and CEO of Anthem Vault. Anthem Vault deals in precious metals under the guidance of Blanchard’s expertise in the field. This is sure to be an engaging and informative interview for anyone interested in precious metals and sound money. The Individuals talk with Sean Malone, director of the documentary Farming in Fear. They’ll talk about the film itself and libertarians in social media. Farming in Fear looks at what happens when a simple organic farm runs afoul of bureaucrats and politicians eager to put it out of business. Despite all that seems bleak and bloody, Sheldon and Lucy look at the reasons for optimism. What makes you hope for the future? Rising technologies? The entrance of the whole world into the global market? The increasing (if occasionally stumbling) acceptance on libertarian ideas? Rachel Mills (the newly minted press director for the Austin Petersen Libertarian Party campaign) welcomes Tom Mullen (author of Where Do Conservatives and Liberals Come From?) and Jeffrey Tucker (CLO of Liberty.me). Join in to talk about big-government conservatives, partisan politics, and other forms of schizophrenia. How to wipe away the illusions promised by political control? An excellent place to start is Niccolo Machiavelli’s The Prince. Written in 1513, it considered the founding document of what is today called political science. It is an eye opening read, simply because it is such an unvarnished account of the primary purpose of the state. It is a manual for states to do the best possible job at achieving their aims. And what is that aim? Back in the day, the excuses for power were to secure the population against invasion, to protect the people’s faith against heresy, to control the mob so as to restrain chaos that makes life impossible. Today the exoteric reasons for state control include those but add many others: to being about income fairness, to stop unjust discrimination, to clean up the environment, and so on. See Jeffrey's new article on Machiavelli and 4 other essential books for liberty lovers. The inimitable Rachel Mills strikes fun into the hearts of liberty lovers everywhere. It’s gonna be Angela Keaton and her talking about the $6-million-dollar professional sports recruitment-propaganda scandal. Just two lovely ladies. Nice and relaxed. Cory Massimino and SFL's social media impresario, Alex McHugh, are interviewing professor Peter Jaworski. Jaworski is famous for his stance on open borders and his engaging, innovative style of teaching — both in the classroom and out. Check out Jaworski's teaching in Liberty 101, a joint venture between SFL and Learn Liberty. Jaworksi covers the concepts of liberty, individualism, toleration, and peace in our philosophy and liberty section of the course. Could there possibly be anything better than a LIVE show with Scott Horton and Jeffrey Tucker? Of course not. Tune in and enjoy another wonderful hour! Join Jeffrey Tucker and Scott Horton for Horton's new hostility scoreboard: What's the status of America's current wars in Afghanistan, Pakistan, Yemen, Somalia, Libya, Mali, Nigeria, Syria, Iraq, and Ukraine? 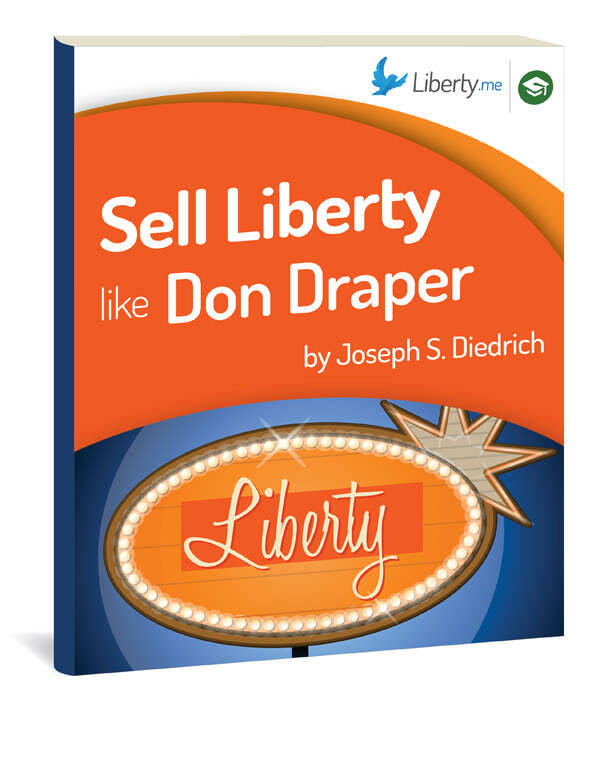 Join Joseph Diedrich to chat about his Liberty.me guide, Sell Liberty like Don Draper! I don’t care if you’re twelve, twenty-two, or sixty-five. I don’t care if you’re a professor, a plumber, or a photographer. I don’t care how many treatises you’ve read, how many conferences you’ve attended, or how many Adderall you had for breakfast. Sharing your ideas about liberty is difficult. You struggle to effectively discuss and write about liberty in ways that inform and impassion others. Yet you know the effort is ultimately worth it, for liberty fights for peace, unleashes creativity, and impoverishes suffering. So then, how can you communicate better and share liberty with more efficacy? While you're here, check out Diedrich's even newer Liberty.me guide, Find Liberty in Unexpected Places! Not a member? No problem! Join here. What's it like these days to travel... on Bitcoin alone? Fresh off of a November tour of the West Coast during which she and her family used only Bitcoin (their second such trip this year), Catherine Bleish will dish on the prospects, advantages, and downsides of Bitcoin travel. Find out how you can take your own Bitcoin tour! Join Catherine as she shares her unique perspective on travel Saturday, December 13th at 8pm EST! It might be the greatest book you have never heard of. It is a full-scale manifesto of political economy, one that follows a systematic pattern of exposition but which never slows or sags from beginning to end. The book is not a difficult read in any sense, but there is so much wisdom in its pages that it cannot possibly be fully absorbed in one reading. It covers economic theory, ancient history, political theory, American history, social theory and political reality and has so many asides and pithy statements that you find yourself absolutely stopping as you read: I must reflect on this; I must remember this. Join Jeffrey Tucker as he discusses this liberty classic Sunday, November 23rd at 8pm ET! Mises is the author of Omnipotent Government -- what might be considered the most anti-Nazi book ever written. It appeared in 1944 and it is fiery and comprehensive. Mises relates the anti-semitism of Germany to anti-capitalist ideology and to the rise of despotism and exterminationism generally. He also traces Hitler’s own form of socialism to political developments stretching back to the 19th century. 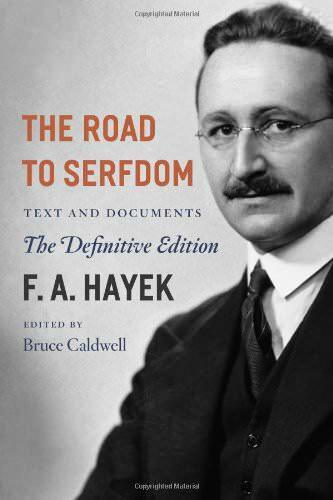 In some ways, this book is better than Hayek’s own Road to Serfdom, more consistent and more radical. But few know about it. Jeffrey Tucker leads the seminar Thursday, October 23rd at 2:30pm ET! Join Jeffrey Tucker for the first official seminar of Liberty.me U! Is your approach to spreading liberty working for you? Jeff will walk you through his top ten do's and don'ts for spreading liberty. Join us at 8pm EST on May 1st for this can't-miss webinar. We are at a turning point in history, with a new paradigm of liberty emerging. But to give it a push, we need to convince others. This is why the rhetoric of liberty is crucially important. Join Jeffrey Tucker to discuss the main reason people fear freedom and how to deal with that. Is your approach to spreading liberty working? Jeff will walk you through his top ten do's and don'ts for spreading liberty. Join us at 9pm EST on June 6th for this can't-miss webinar. 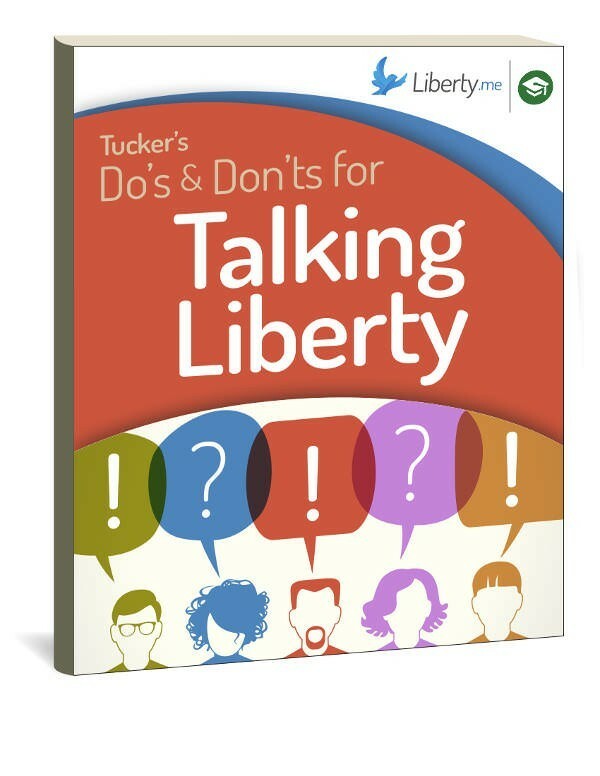 If you want to learn even more about selling liberty, check out this Liberty.me guide!